What Made Moses the Greatest Prophet? Dedicated to the memory of Miriam and Sydney Kett. Melinda and Russell Kett, with Justin, Nicholas, Shira, Miri and Doniel. Moses did not rise to leadership because he came from a prominent Hebrew family – indeed, the Bible introduces him merely as a child of “a man from the house of Levi who took a Levite woman as a wife” (Exodus 2:1–2), and his adoptive mother, with whom he lived in the palace of Pharaoh, was a gentile Egyptian princess. However, in the lead up to Moses’ appointment as a prophet, the Bible relates three incidents in which Moses fought against acts of injustice: his slaying of an Egyptian taskmaster who was beating a Hebrew, his berating of a Hebrew raising his hand against another Hebrew, and his protecting a Midianite shepherdess from unfair treatment by Midianite shepherds. Apparently, Moses was chosen by God to lead the Israelites not because of his ancestral pedigree, but rather because of his compassionate righteousness and sense of moral justice. Prophetic leadership depends not on who your parents and grandparents are, but rather on who you are. From the very beginning, Moses was reluctant to accept his leadership position. His argument is stated very clearly: “I beg of you, my Lord, I am not a man of words, not from yesterday, not from the day before . . . heavy of speech and heavy of tongue am I” (Exodus 4:10). Beyond the obvious understanding, Moses is not simply saying that he stammers, especially given that he repeats the same argument even after God promised to deal with his impediment. So what is Moses really saying? 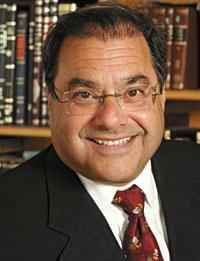 Rabbi Dr Shlomo Riskin is the founding Rabbi of Lincoln Square Synagogue, New York, which he led for 12 years; founding Rabbi of the Israeli town of Efrat. He is also the founder and Chancellor of the Ohr Torah Stone Institutions, a network of high schools, colleges, and graduate programmes in the United States and Israel. Click here for today’s parallel essay. 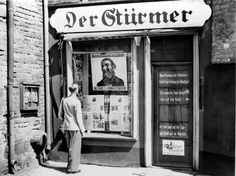 The Editors Law is enacted, Hitler’s government passed an ‘editorial law’, enabling Nazi censorship of press and publications and forbids non-Aryans from working in Journalism. This video is again different than the regular ones. 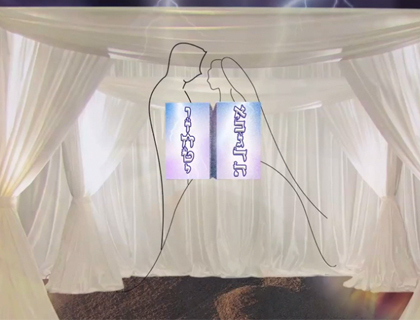 It is about this weeks sedra – Yitro and links to the person in the essay – Moshe Rabbenu. It is from a remarkable website by Rabbi David Fohrman. If you like todays video, please do visit his site – every week there is a wonderful piece on the weekly sedra.